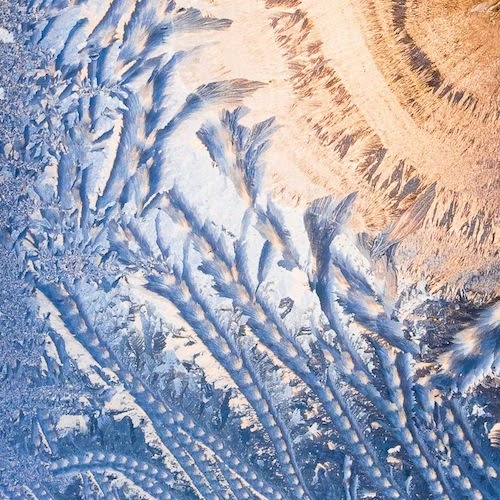 During the polar vortex in January there were unusual frost patterns on the conservatory greenhouse glass. To me, these looked like fantasy gardens of plants reaching for the sun. Here is the first place winner in the Betterphoto contest in January.